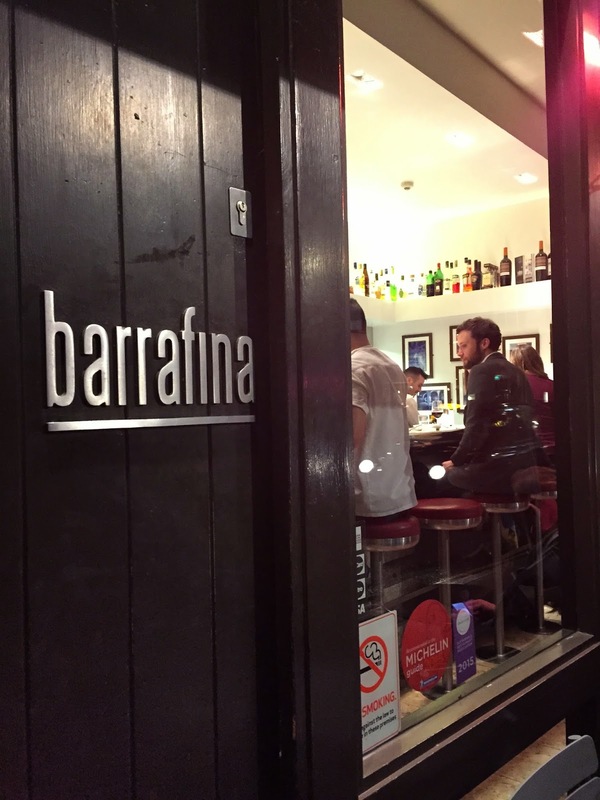 The other night I headed to Barrafina with a great friend. We wanted somewhere to gossip, put the world to right and of course have some delicious food. 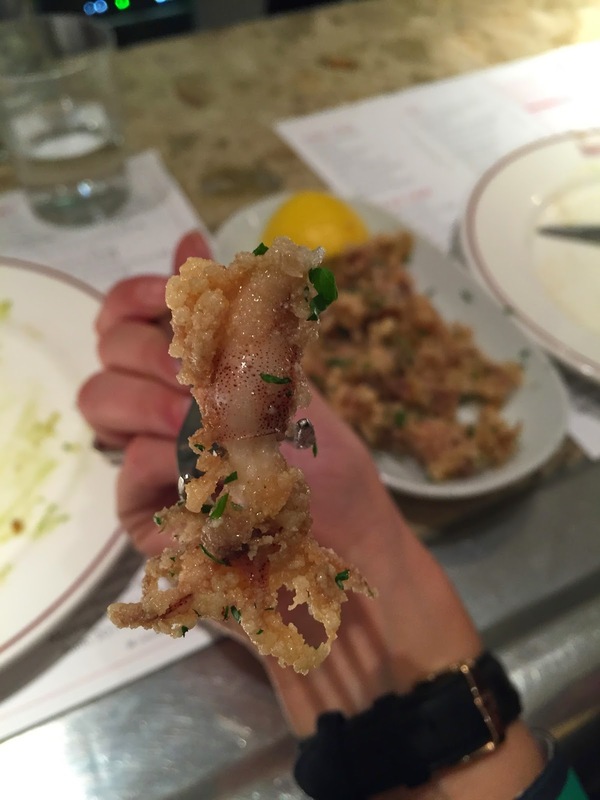 Barrafina in Soho has just that. We had some prosecco as we waited for our table and then took it to our spot along the bar. 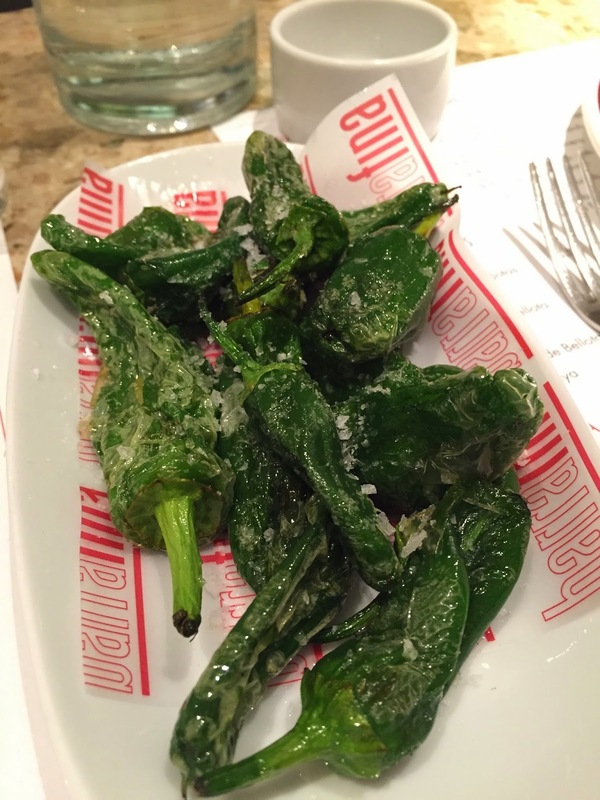 We kicked off with some peppers, roasted, with lashings of salt and delicious olive oil. 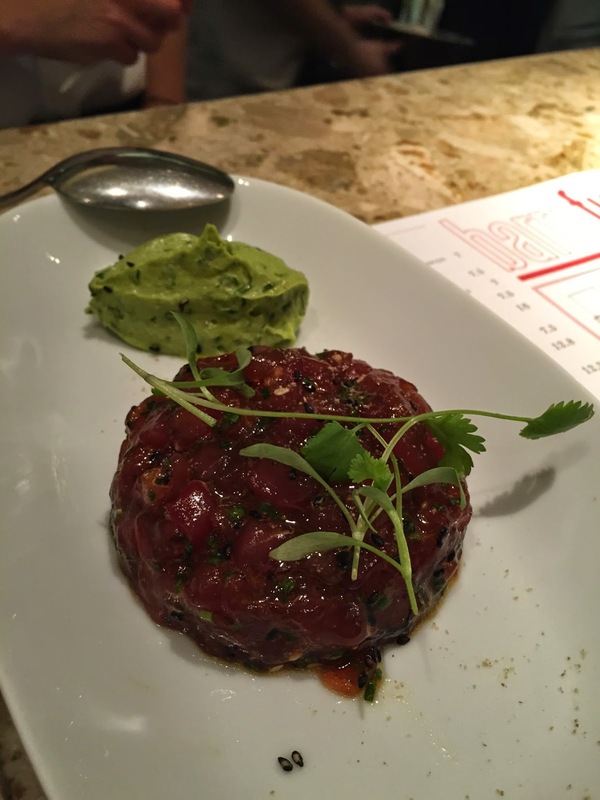 Next out came the tuna tartare with the freshest guacamole you could imagine. Along side these came the ham and cheese croquettes. Melt in the middle perfection. 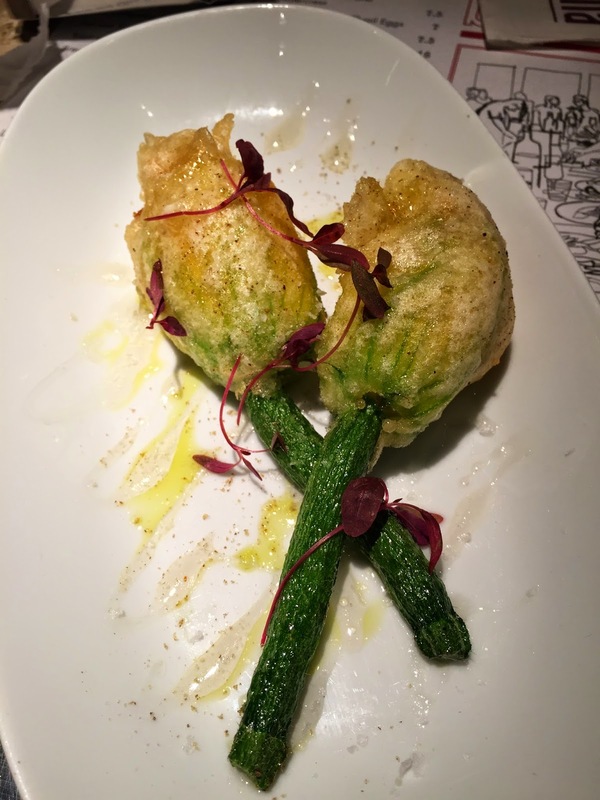 We demolished all the first three tapas decidedly quickly and then it was on to the next few dishes...first feta stuffed courgette flowers. I had a go at making these last summer when I raided dad's veg patch. Next up was baby fried squid. Crispy and delicious, squeeze over the lemon juice while still warm and tuck in. 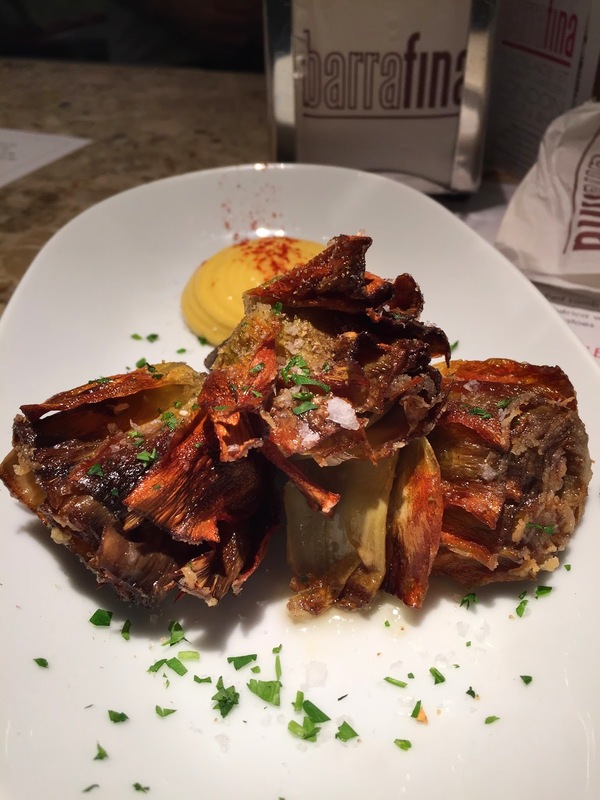 We ordered one of the specials, baby artichokes with saffron aoli. Tasty, crispy and extremely moreish. The toughest part of this course was splitting the third evenly between the two of us! 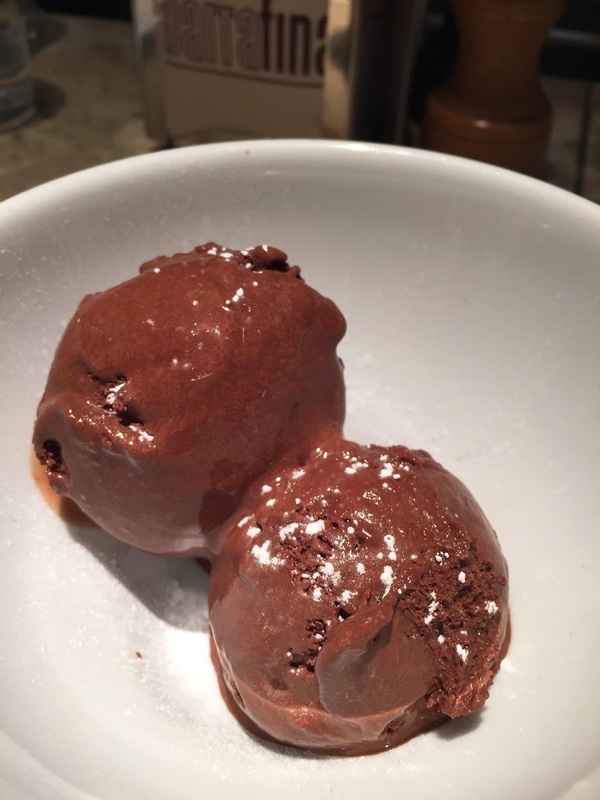 We sat back, rubbing bellies before we tackled dessert... deep chocolate sorbet. 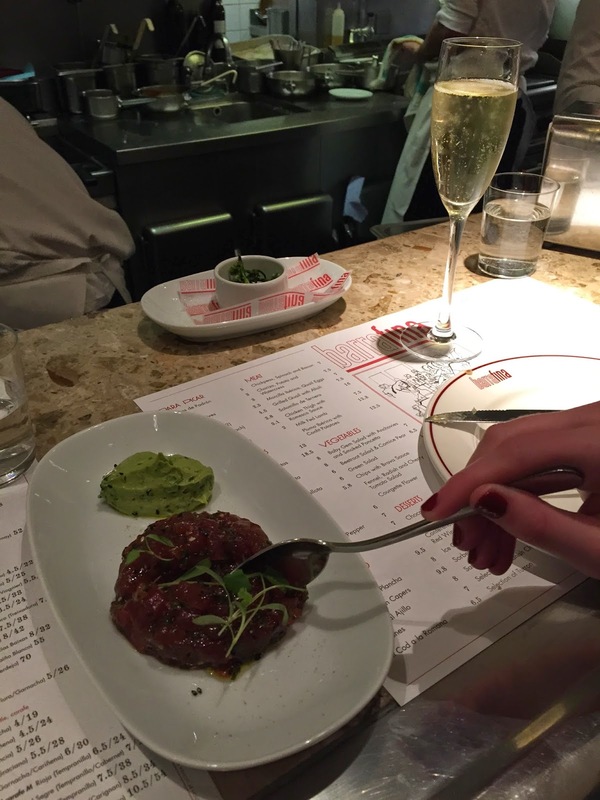 This was just the perfect end to a great meal, gossip and wonderful midweek treat. 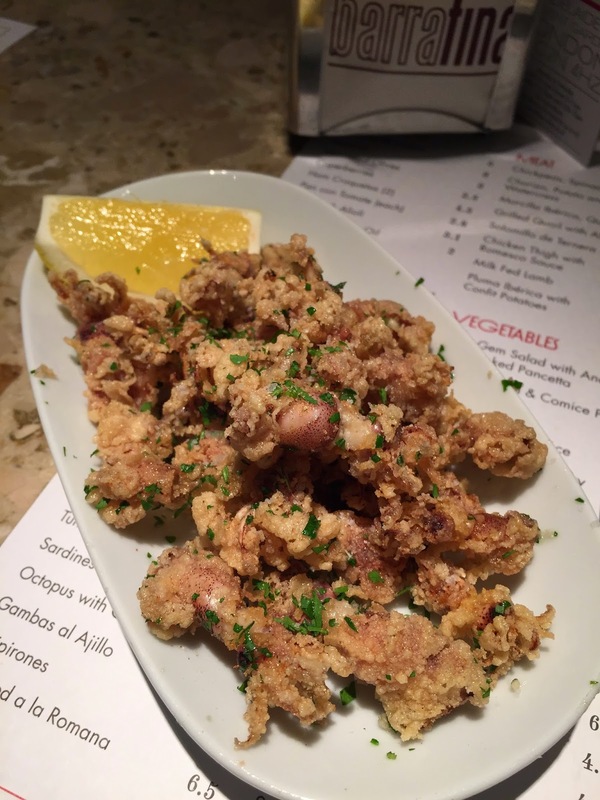 You must check out this little tapas bar next time you are in London. You will have to queue but you can have a drink while you wait and really get to grips with the menu and it is most definitely worth it. Hidden Blueberry & Lime Loaf. Pistachio Cake with Lime Frosting.